Wholes are said to be more than the sum of their parts. This ‘more’ contains both a promise and a threat. When different elements – which might also be individuals, cultures, disciplines or methods – form a whole, they not only join forces, but also generate a surplus from which the parts can also benefit. Being part of a whole is a way to acquire meaning and to extend beyond one’s limited existence; and having a part in the whole is to have an enlarged agency. But wholes are also more powerful than the sum of their parts. Wholes constitute their parts, they determine what is a part and what is apart, what can become a part and which parts have no part. 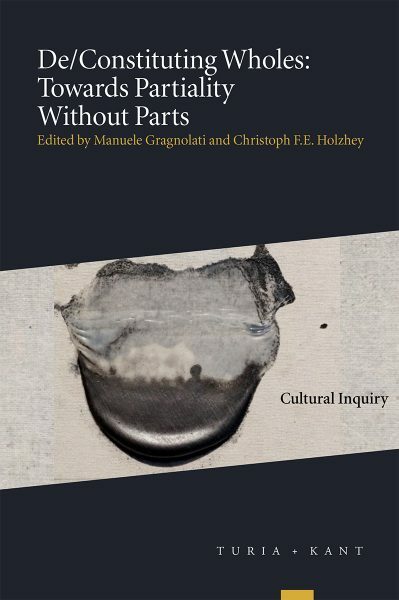 Even if parts therefore may not be said to pre-exist the whole, there may still be something in them that exceeds being a part – if only the possibility of being part of a different whole. While a desire for being whole or part of a whole seems all-too natural, organic metaphors – which are often used to think part-whole relationships – have been criticized precisely for naturalizing relations of hierarchy and power. Yet, entirely abandoning the whole in favour of the part(icular) is also problematic. After the disenchantments of the postmodern, post-cold-war period and in the face of global crises – be they financial, economic, political, or ecological – the critical need of including a holistic perspective is felt with renewed urgency. At the same time, there is a growing concern that the ‘situatedness’ of any such perspective and the multiple, incommensurable ways of constituting wholes may be forgotten. How are wholes differently constituted and how do wholes constitute, determine and control their parts? Do ontological, epistemological, aesthetic and affective registers interrelate in different ways in material, symbolic, narrative, and psychological constructions? Can wholes emerge spontaneously from a collection of elements and their relations, from interactions or intra-actions? Does their constitution necessarily involve exclusion – not only of some parts and of other conceivable wholes but also of some aspects of the constituting elements? And, insofar as exclusion involves loss or violence, to what extent does it help to consider the totality of potential constitutions? But from what position can this totality be postulated if not from a necessarily partial perspective within? What is gained by shifting to notions such as complex systems, assemblages, entanglement, or hybridity?